It's been a slow couple weeks as far as traveling goes. Alex switched to a new job, so he's been busy training and getting comfortable. After several 3 day weekends, it was time for us to lay low for a bit and focus on the homefront. Our house still has boxes piled in corners, and only the downstairs pictures are hung. However, despite not going out and sightseeing, I feel like we're getting a good taste of German culture in our day to day lives. It's been a fascinating journey thus far. Saturday night after dinner, Alex and I took the kids and dog on a walk around our village. We took a new route than the one we'd previously gone on, and it was to our surprise that we discovered some new paths. One led us around a block of houses that were so charming and so unique, I wanted to photograph them all. I probably would have had the residents not been outside. Didn't want to come off as the weird Americans taking photographs of random houses. I commented to Alex that the great thing about our little village is how different each home is from the next. There's no cookie cutter neighborhoods here. Each and every owner chose a style they liked and built around it. One home we passed was this massive log cabin, next to it were modern apartments with attached garaged, and next to that was a round stucco house with a driveway that wrapped around half the bottom floor. It gave Alex and I something to look at and enjoy as we walked around. We also stumbled upon a barn with some cows housed inside, which made Landon's night. The kid is currently obsessed with cows, and screams out, "They're so cute!" whenever he catches sight of one. So in our tiny village (it's one of the smaller ones in the area) we have seen sheep, cows, a log cabin, a woodworking shop, a couple donkeys, and a very popular restaurant. It's hard not to fall in love with the place when there is so much life and flavor on every street. Alex and I have shopped at one of the local grocery stores a few times. The produce cost about the same as the Commissary, but because of where the suppliers are, the food on the economy lasts a little longer. The spinach I buy on base goes bad within 3-4 days, but the bag we bought at the Rewe held out for almost a week. And in addition to the similar costs, the thing about the local grocery stores is that the price listed includes their 19% VAT tax. So no additional costs at the register. PLUS! If you're so inclined, if you spend more than 40 Euros (I think it's 40, I've actually never used one before) you get to fill out a handy VAT form you purchase from the base for 10 dollars, and the store will reimburse you the taxes you paid. I know some people like to hold on to 3 or 4 receipts and get one lump sum back, which I suppose if you buy a good chunk of groceries would be worth it. Alex and I are just too lazy to do it. Another first for us was our experience with Schnitzel. Yep, we've been here almost 3 months and just this past week tried the famous German cuisine for the first time. 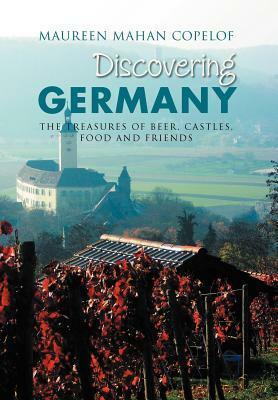 I had read a book written by a military member about their experience in Germany when I first moved here. 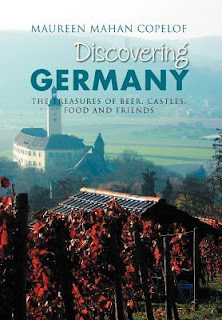 One of the things the author briefly touched on was Spargel- asparagus in German. She said that in the spring, spargel's a well loved dish that's usually made with a hollandaise sauce and served seasonally at restaurants. Well, I do love me some asparagus, so when I saw it listed on the menu covered in a garlic butter sauce, I was sold. I also got a bowl of Onion soup as an appetizer, because I was missing my father in-law's version and was curious to see if it would be satisfactory. But it also wasn't terrible so not a horrible loss. Alex ordered a pizza schnitzel, which tasted almost like a bolognese to me, and he was pleased with the choice, although after seeing my brother's Chicken Cordon Bleu he wished he'd order that. I thought my food was delicious, but after the soup, I couldn't finish all of it. The butter became really rich about halfway through. I did wish the asparagus was a little firmer, but I also know I like my mine harder than most people. So that was just a personal preference thing. Definitely wouldn't stop me from ordering it again, though. 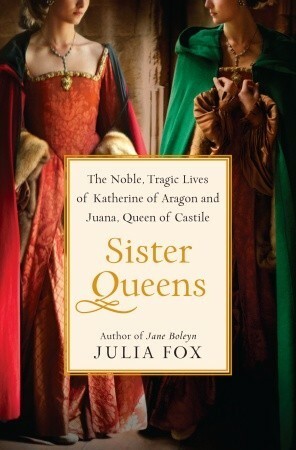 I'm a nerd when it comes to all things Katherine of Aragon, and I didn't know much about her sister, Juana, so this has been an enlightening read for me. It makes me unbelievably excited to one day visit London, and it has given me a wish list of things to see if we ever make it to Spain. It hasn't been our favorite season, the whole Underworld storyline didn't hook us like we'd hoped it would, but that tends to be how the show works with us. One season is great, the next not so much. (I'm looking at you, Season 2.) Still, a fun way to pass the time while we wait for our favored shows to return in the fall. And now, I'm off to go swelter upstairs for a bit. The temps have reached the high 80s, low 90s, and with no air conditioning, we're starting to feel it. Downstairs isn't so bad if you keep the rolladens down, but upstairs is a furnace. I think the poor kids were miserable last night, even with the fans blowing on them. They weren't used to it.